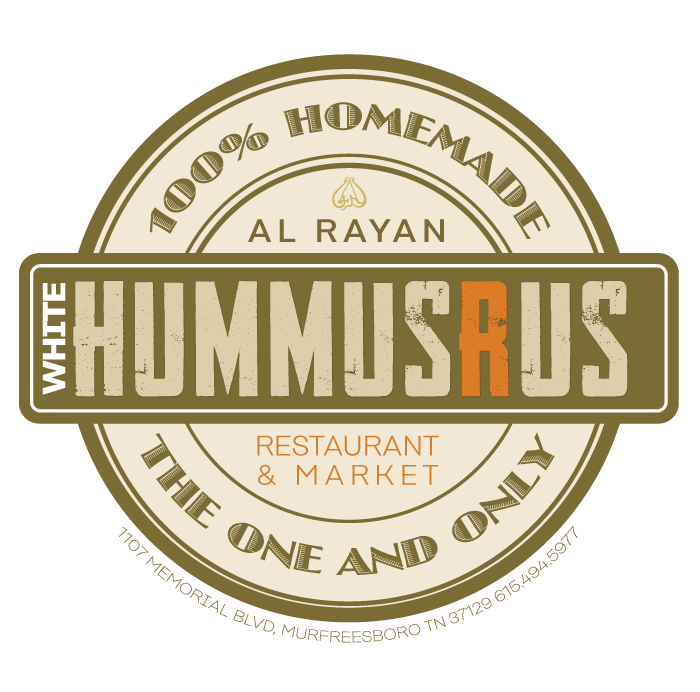 TRY MIDDLE TENNESSEE'S BEST HUMMUS! Al Rayan Restaurant & Market serves Middle Tennessee's Best Homemade Mediterranean Cuisine. 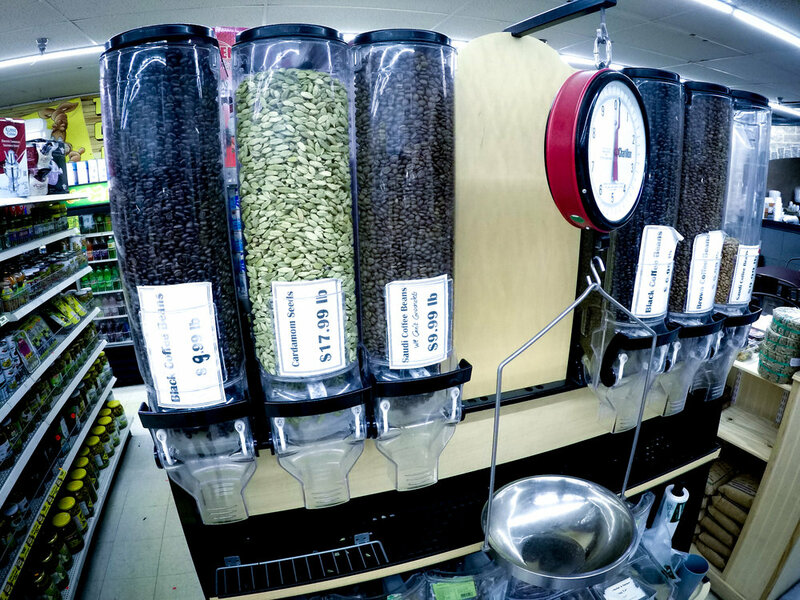 The market offers a great selection oF foods, ingredients and more. Fresh ingredients, family recipes and a love of creating wonderful dishes adds up to a passion for Mediterranean cuisine here at Al Rayan Restaurant & Market. We are the one and only Mediterranean restaurant serving 100% homemade dishes. Chef Hamad Alhamad creates your favorite Mediterranean dishes as well as Chef's Specials every day. Come to Al Rayan's lunch buffet and taste all of the dishes, expand your palette and see what you like the best. Dine in the restaurant and experience Chef Hamad's unique specials and dial in your favorite dishes. Of course when you're finished, our market is open daily until 10pm for you to pick up everything you need to start your own Mediterranean traditions in your home. A hearty traditional Middle Eastern soup of lentils spiced with cumin. Sesonal mixed vegtables, slowly cooked in a light tomato sauce. Finely chopped parsley, tomato, buglur and onions. Seasoned with salt, lemon juice and olive oil. Tomato, cucumber, lettuce, parsley, radish, lemon, olive oil dressing and crispy bread. Fresh arugula leaves, tomato, red onions, and sumac topped with our homeade dressing. Chopped tomato, onions, cucumber, lettuce and parsley, with our house dressing. Mashed chick peas with lemon and tahini sauce. Classic Mediteranean baba ghanouj, baked eggplant pureed with tahini sauce, garlic and olive oil. Stuffed with rice, onion, tomatoes and parsley. Fava beans, diced tomatoes, and tomatoes sprinkled with spices and olive oil. Fresh homeade yogurt, diced cucumber, garlic and mint. Labna mixed with hot red pepper, topped with olive oil. Falafel balls fried to a crispy golden brown, stuffed in our homemade pita served with tahini salad and pickles. Thinly sliced seasoned chicken wrapped with sharak bread served with garlic sauce and pickles. bread served with tahini sauce, onions and tomatoes. Charbroiled chicken wrapped with shrak bread with garlic sauce and pickles. Fresh from the spice shwarma lamb. Served with vegetables, mixed pickles and tahineh dip and a side of basmati rice. Fresh from the spike shwarma chicken. Served with vegetables, mixed pickles, garlic dip with a side of basmati rice. Shwarma lamb mix with chicken shawarma. Served with mixed pickles, tahini dip and basmati rice. Hummus topped with your choice of sliced beef or chicken. Fried Middle Eastern meatballs, a shell of crushed bulgur, filled with minced beef and pine nuts. Chicken wings coated in garlic and lemon. Cooked to perfection. Ground chick peas, mixed with parsley, green vegetables. Fried to perfection. Marinated liver sautéed with vegetables and pomegranate molasses. Lightly breaded, deep fried cheese sticks served with marinara sauce. Hummus topped with ground beef. Fried tomato, ground beef, chopped onions, served spicy hot. Two whole baked pieces of pita bread stuffed with minced lamb, parsley and an array of spices. Tomato, minced meat, onions and spices spread on fresh dough and baked in an open brick oven. Dry thyme mixed with olive oil and baked on a savory pastry. Arabic flat pastry baked in a brick oven, topped with cheese on a savory pastry. A combination of Halloumi, Kashkaval, Mozzarella and Akkawi on a savory pastry. Za'atar and cheese on our savory pastry. Fresh spinach leaves mixed with onion sumauc, olive oil, and our savory pastry. Lamb Kabob cooked on open flame to perfection. Served with grilled vegetables and tahini sauce. Grilled medallions of beef on open flame cooked to perfection. Served with grilled vegetables and tahini sauce. Charbroiled chicken served with grilled vegetables and tahini sauce. Rack of lamb grilled on an open flame to perfection served with grilled vegetables and tahini sauce. Half of a cornish hen grilled to perfection. Served with grilled vegetables and tahini sauce. Allow time for cooking. Served with grilled vegetables and spicy red sauce. Lamb Kabob, Shish Tawook, Mixed Vegetables, skewered served with tahini sauce. Lamb Kabob, Shish Tawook, grilled medallions of beef and lamb chops. Served with grilled vegetables and tahini sauce on a bed of rice. We welcome your special needs - please advise a staff member if we can do anything to make your visit better. Al Rayan Catering is ready to serve your event a Mediterranean cuisine experience they won't soon forget. Call us today at 615-546-5453 and we'll get started. The Al Rayan Market is your source for the best in fresh Mediterranean foods and ingredients. The market has a long history of serving Murfreesboro for many years, open daily from 8am - 10pm. With a friendly staff ready to help you find just what you're looking for, the Al Rayan Market is a neighborhood favorite and a resource for Mediterranean cuisine. We even have a drive-thru for when you're busy! The Al Rayan Market carries a variety of fresh foods and ingredients, bulk items and more. We enjoy our products too and insist on only the best. Ask us about our fresh foods the next time you come by! Al Rayan's homemade pitas are second to none. So simple they're perfect, and we sell them not only in our restaurant but in our market as well. Take home some of the best pitas available today! We stock a wide variety of things you won't find at other markets. We specialize stock a large selection of ingredients to compliment not only Mediterranean but many other styles of cooking as well. If you have any questions or comments, send us a message or give us a call. All Content Copyright 2018, Al Rayan Restaurant & Market, All Rights Reserved.